My posts about troubles with the Kensington Expert Mouse scroll ring remain disturbingly popular. My most recent warranty replacement has been running fine for several years, so I suspect they had a bad lot of IR detectors go their production line and into the field. Maybe you’d be lucky enough to find an identical connector inside an old mouse in a junk box, but that’s not the way to bet. 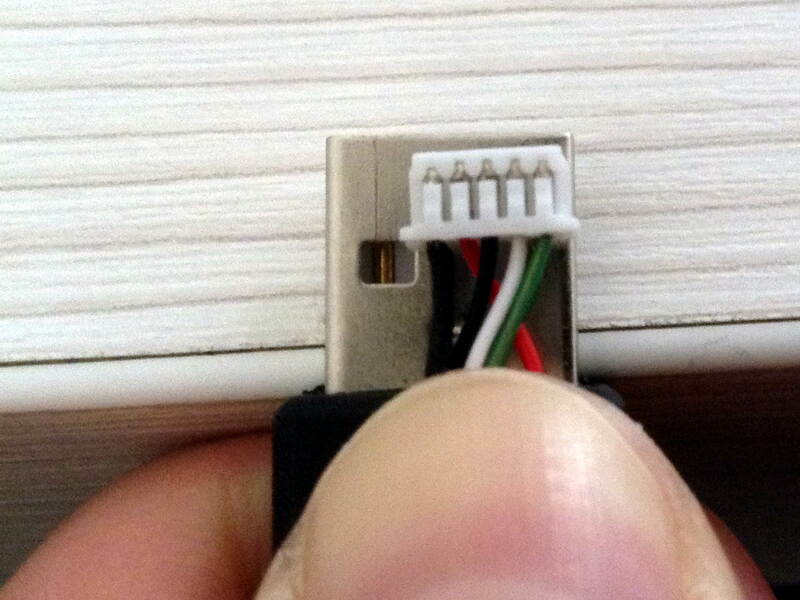 Given that you need not only the proper plastic shell, but also the pins and the crimper for a proper repair, I suggested just chopping the wires an inch from the connector and splicing the new cable onto the wires.